A DECORATED war hero from Garelochhead was among the many thousands who lost their lives in the World War One Battle of Passchendaele in Belgium — and now his name is carved in stone at the Glasgow University Memorial Chapel. Lieutenant Campbell Greenhill MC, who was born at his parents home in Glencairn Terrace on November 4 1885, was 31 when he died in what was also known as the Third Battle of Ypres, one of the major battles of the war. It involved British, South African, Canadian, Australian and New Zealand units, and the battle started as a campaign to force a breakthrough in the front and to capture the ports on the Belgian coast. It eventually got stuck in the village of Passchendaele, now part of the Flemish community of Zonnebeke, and lasted from July to November 1917. The name Passchendaele has become synonymous with the utter horror of this kind of warfare, of living and dying in trenches of liquid mud, and for months of fierce fighting for little or no advantage. The battle took place on marshland flooded with heavy August rains. When it ended the Allies had captured a mere five miles of new territory at a cost of 140,000 combat deaths. Many did not die from their wounds, but drowned in the mud. The village man was killed at Zillebeke on September 10 1917 when his battalion, who were in reserve, were ordered forward to attack and capture Westhoek. They experienced heavy machine gun fire but still took their objectives, and the counter-attacks were repulsed. But he and eleven comrades died. Campbell was the eldest son of medical student Robert Greenhill and his wife Flora Fletcher, who had married in Glasgow on March 31 1884 and lived in Bridgeton. His siblings were Cecil, Hilda and Thomas. It is not known why or for how long the couple lived in Garelochhead, but when his father graduated with a medical degree in 1887 he became a GP in Rutherglen, where the family set up home. Educated at the High School of Glasgow, Campbell became a commercial traveller with Thomas Potter in Glasgow, who supplied bolts and rivets for shipbuilding and engineering. He was an assistant scoutmaster with the 113th Scout Group at Burnside, and also a member of the Glasgow University Officers Training Corps. A keen footballer who played for several junior clubs in Glasgow, he was also secretary of Burnside Tennis Club and a very popular member. When war broke out he joined the Lowland Division of the Royal Engineers in Rutherglen as a private and served as a driver. He was granted a commission as a Second Lieutenant in the 12th Worcestershire Regiment on May 14 1915 and was posted to France on March 14 1916. He moved to the 3rd Battalion in December, and served two winters in Flanders. 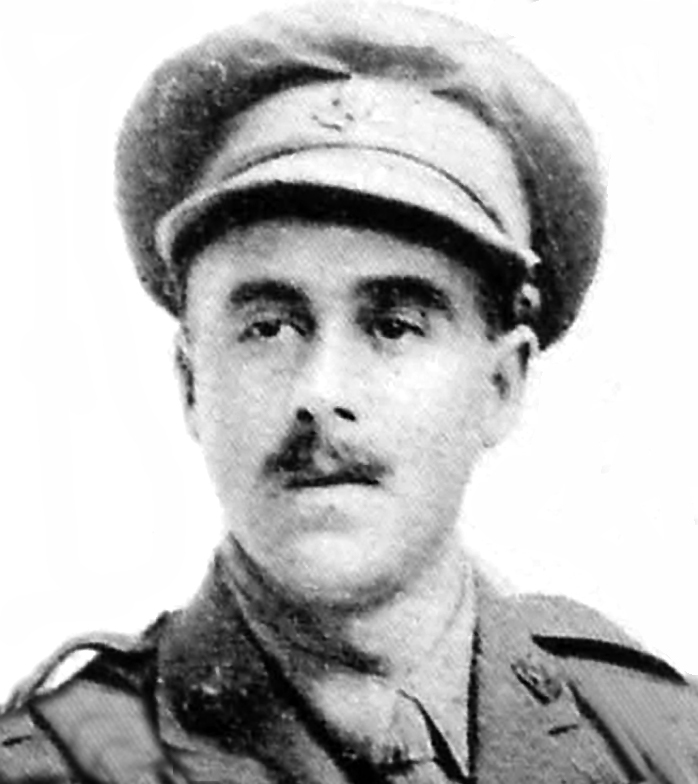 It was on June 2 and 3 1917 that his gallantry won him the Military Cross, when he was a member of a raiding and reconnaissance party at Wulverghem, near Messine, during preparations for the Battle of Messines Ridge which took place a few days later. The London Gazette of July 26 1917 gave a brief account of the bravery which won him the prized decoration. It stated: “For conspicuous gallantry and devotion to duty during a raid upon enemy trenches. He endeavoured to capture the gun and started off in pursuit, accompanied by a corporal, but the whistle sounded the retire before he reached it. He was promoted to First Lieutenant after this battle, and was promised that his Captaincy would soon follow. He was home on leave a week before he was killed, and had just returned to the battle line the day before he was killed on September 10. His brother, Thomas, was too young to join up at the start of the war but he later did serve in the 1/7th Battalion of The Highland Light Infantry first as a Private, and later as a Second Lieutenant. He survived the war and when he returned he kept up the family connection with the Scouts, eventually becoming one of three Area Commissioners for Scouts in the Glasgow area. Campbell is remembered at the Menin Gate Memorial at Ypres Leper, a town in the Belgian province of West Flanders. The site was chosen because of the hundreds of thousands of men who passed through it on their way to the battlefields. 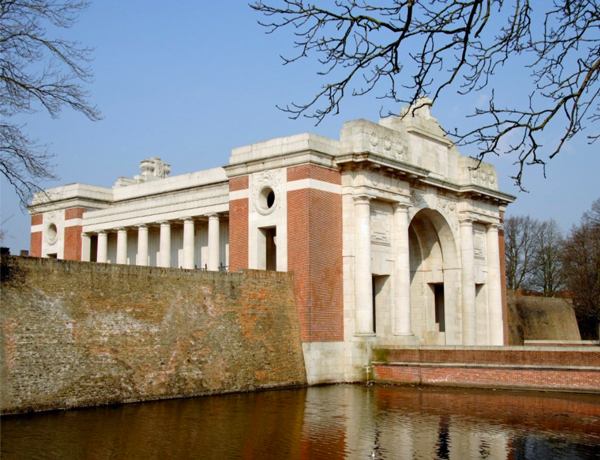 Each night at 8pm hours the traffic is stopped at the Menin Gate while members of the Leper Fire Brigade sound the Last Post in the roadway under the Memorial’s arches. Campbell was one of a number of the fallen left out of Glasgow University’s original Roll of Honour from the First World War. A memorial service was held on Novmber 11 2018, 100 years on, to mark the addition of the missing names.